I’m the founder of Anime Motivation. A company started around November/December 2016. The long-term mission to make a difference in the anime community. 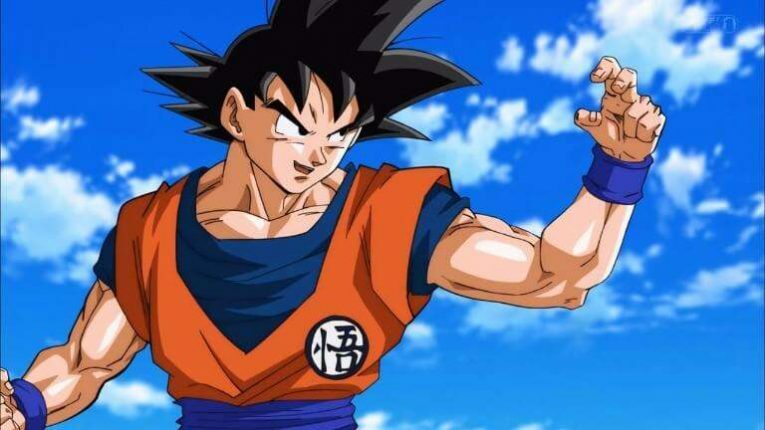 Goku – Dragon Ball Super. I’ve been watching anime for more than 10+ years. Dragon ball Z was the first anime I witnessed on British TV. Or better yet – Cartoon Network! Since then, I’ve been hooked. But I never started to “seriously” get into anime until 2014. It was as if I’d forgotten about it all those years as I was occupied and focused on other things. The 2nd “official” anime I watched was Bleach. 3rd and 4th was Claymore and Inuyasha. Followed by Attack on Titan 5th. What made you decide to start an anime business? I’ve run my own online retail business before, selling video games and accessories online. That was my first “official” business. Since then, I’ve always wanted to start another retail business. I started getting back into anime from 2014, so I naturally was drawn to the idea of a business in the anime industry. But it really kicked off when I had the idea to blend Anime with motivation. Because I noticed there are hardly, if any anime sites that share motivational/inspirational anime content. And so: Anime Motivation was born with one of many goals to share that with the community. Another reason for starting the business: I noticed how FEW anime shops there are in the UK. Especially shops that look legitimate with a service that’s above AVERAGE. And that’s the motivation behind selling anime merchandise, figurines and toys. I was scratching my own itch in so many words. What’s your #1 favorite anime series? Akame Ga Kill is also an anime I love. Which is to say… Choosing 10 anime shows is damn-hard. Hyouka and Psycho Pass are also worth mentioning. This is better described through a blog post than answering here. There’s no such thing as being “one way” when it comes to personality. Human beings are more complicated than that. So those 11 characters describe me perfectly. As they’re closely tied together. I’ll probably update this page, so stay updated. And don’t forget to keep an eye on the blog!